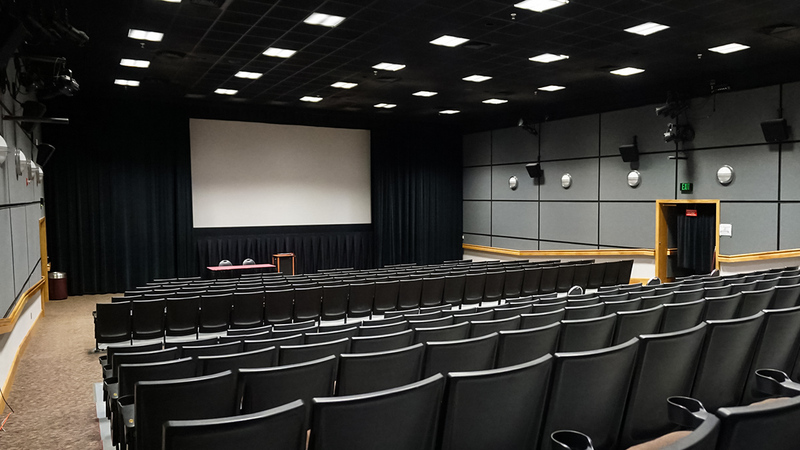 The University Center (UC) is home to a dedicated Montana Event Services. 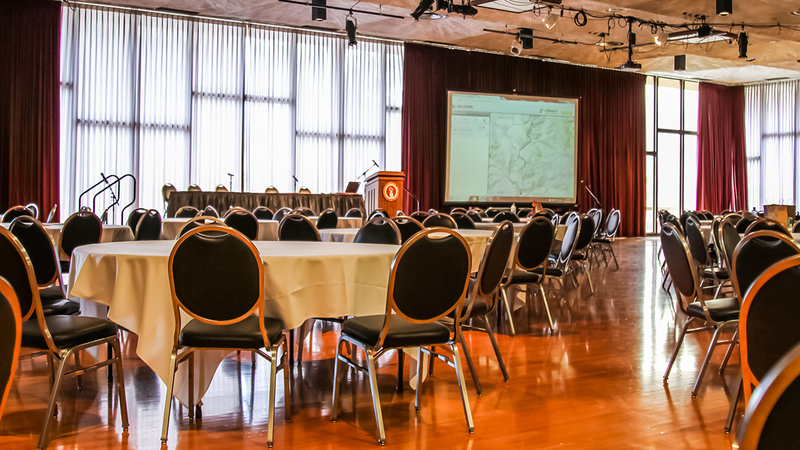 With a ballroom, grand foyer, theater, an executive board room, atrium and eleven other meeting rooms, Montana Event Services can accommodate large conferences, trade shows, banquets, trainings, parties, weddings, and special events. In addition to our conference capabilities, campus and community members are greeted with a variety of welcoming and flexible spaces designed to encourage creativity and collaboration. True to our love of the outdoors, the University Center Atrium offers beautiful gardens in the building. They offer your group a unique setting and gathering place. Located on the first floor, the Atrium can be reserved by groups for small receptions and in-door barbecues. 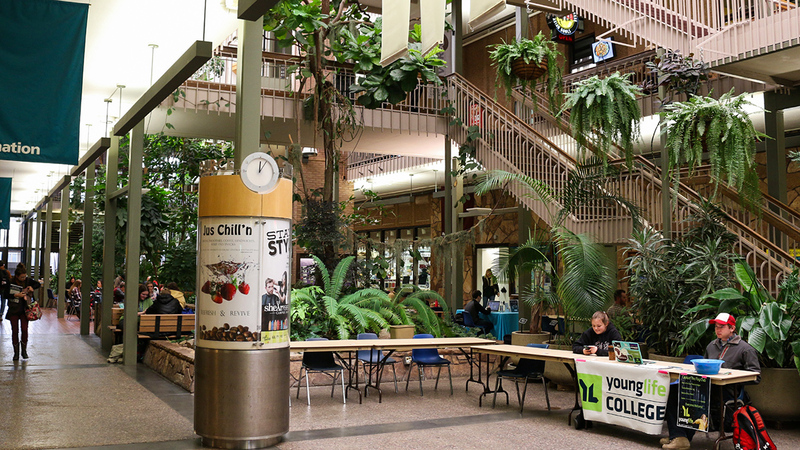 During the academic semesters, the Atrium is utilized by student groups for table displays, noon speakers, and small concerts. Holds 140 people for receptions. 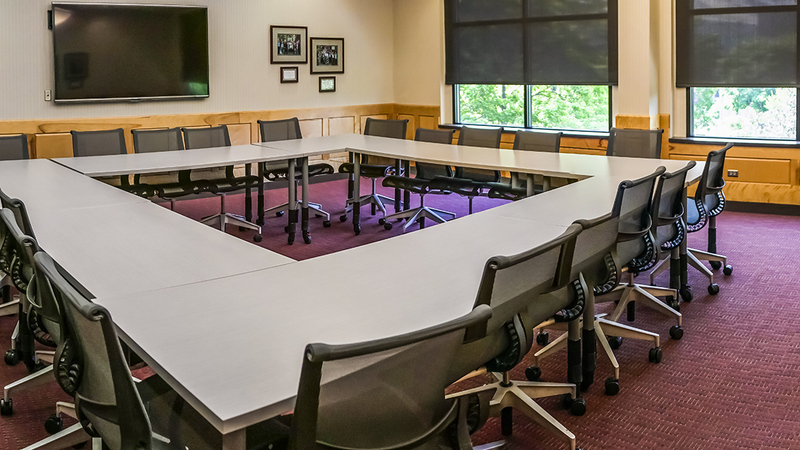 The Alumni Boardroom is a beautiful, comfortable room preset with a large table and cushy, boardroom chairs. 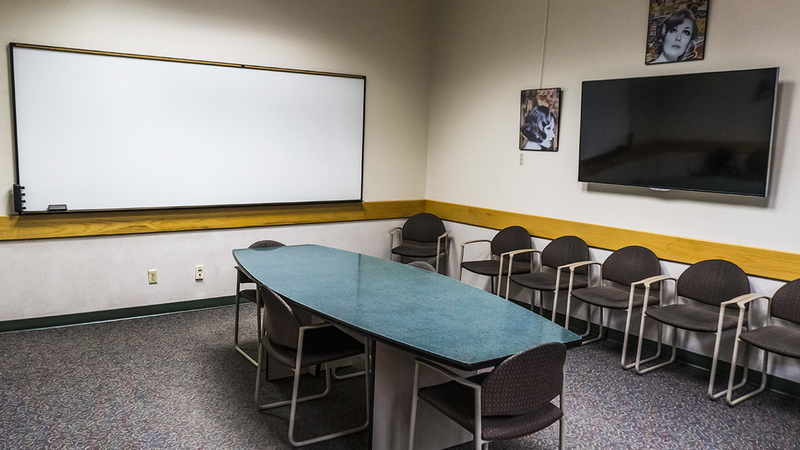 Like the break-out rooms, the Alumni Boardroom offers Internet connection and multi-media capabilities. 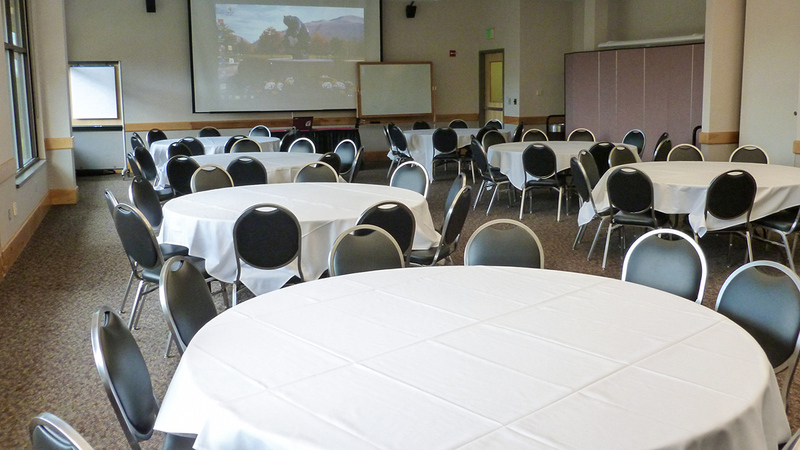 At 10,437 square feet, the University Center houses one of the largest ballrooms in Missoula. The ballroom boasts beautiful hardwood floors, floor to ceiling windows and 16' high ceiling. Divisible by a soundproof air wall, the ballroom can be divided in half from North to South. The ballroom is ideal for banquets, weddings, tradeshows, conferences, small concerts, etc. If you have a small group or need additional breakout space, the second floor offers six additional meeting rooms. Each room has a permanent meeting table and chairs along with a large white board and featured artwork on the walls. The University Center Tech Lounge is open to students, faculty, staff and authorized guests. 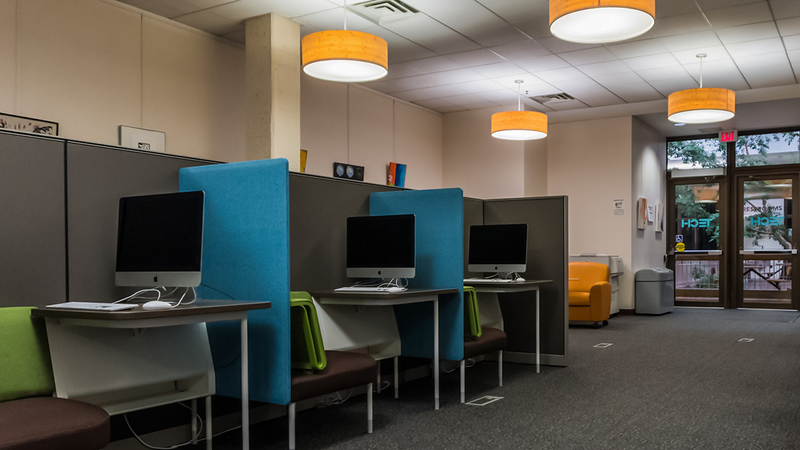 The tech lounge offers a dynamic learning space with flat screen TVs and mac mini computers available. The space is ideal for group work and collaboration. With usb hubs to connect your media as well as access to the UM network, work groups can collaborate with ease, show presentations and get connected. The UC Tech Lounge also has boosted Wi-Fi, with comfortable chairs and increased connectivity it is a perfect place for study groups and group project meetings. 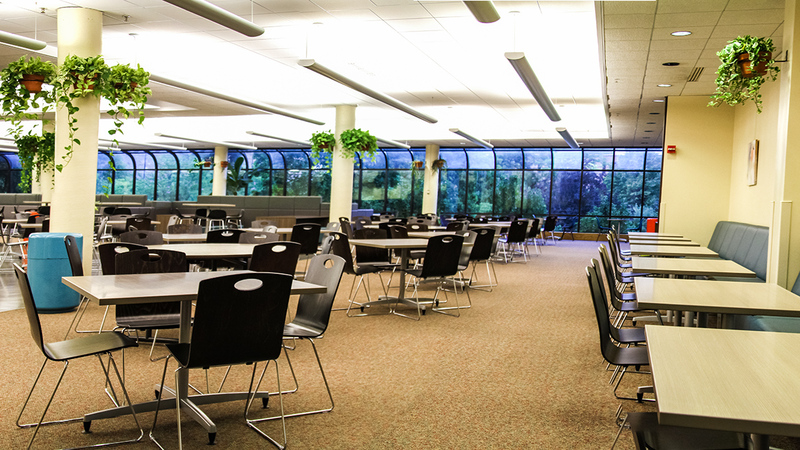 The UC Commons, located on the 2nd floor, offers another large space for banquets or tradeshows when school is not in session. The UC Commons features full length windows overlooking the Library Mall as well as pillars draped in live plants. The room is easily transformed in to an elegant room that can hold up to 500 guests.